The baby boxes have been very popular in Finland, but Mr Fleming said very few families used the box for their baby to sleep in. He argued the boxes were introduced in the 1940s but the country's cot death rates did not decrease until the 1990s, when Finland adopted his advice on placing babies on their backs during his world-famous campaign. The Baby Box Co's response Toby Evea, business director of The Baby Box Co, responded by saying: "Child safety is the reason The Baby Box Co. exists. "Baby Boxes have been used in Finland for 80 years. "Our programme is designed to pay homage to the Finnish model by providing safe-sleep Baby Boxes universally to expecting and new parents in communities where the local healthcare experts collaborate to develop and implement an education programme on BabyBoxCo.Com. "Our mattresses are made in the UK and comply with all UK Government regulations. Our Baby Boxes meet the most up to date UK and EU cot mattress standards: BS 7177 2008 + A1:2011 and BS 1877 - 10:2011 + A1:2012. "Nothing is as important to The Baby Box Co. as the safety of children and we firmly believe that our education platform delivered by healthcare experts and our baby boxes will continue to help parents.” Who is professor Peter Fleming? Before his advice, based on years of research, was taken up there was something of a SIDS epidemic spreading across the richest countries in the world, where one in every 250 births were resulting in cot deaths. For the last two years, Mr Fleming has been leading a new study in Bristol hoping to uncover more facts which will reduce SIDS even further. 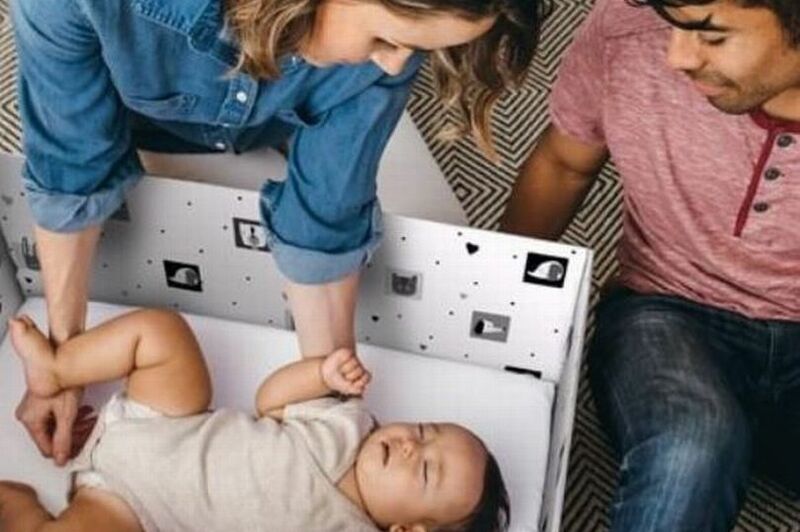 They are billed as a lifeline for cash-strapped new parents, but a Bristol expert is warning against using Lidl’s baby boxes. The freebie is currently being handed out by the budget supermarket which is working in partnership The Baby Box Co, who defended their product and said child safety is their reason for existence. The boxes contain a firm mattress, waterproof mattress cover and a cotton sheet, as well as nappies, wipes and a muslin. But Professor Peter Fleming, a world expert when it comes to safe ways for babies to sleep, has warned there is no evidence these boxes are safe. The professor of Infant Health & Developmental Physiology at Bristol University said the claim they actually reduce Sudden Infant Death (SIDS) is ‘utter rubbish’. He said: “There’s no evidence at all that these are safe. “If someone wants to sell you a washing machine there’s all sorts of checks they have to go through to show it does what they say it does. “But with this it seems people just do whatever they like and nothing gets said until a baby comes to harm. “There’s no suggestion a baby has come to harm or they are harmful but at the moment there’s no research on them. Mr Fleming said even more worryingly they are advertised as being suitable for a tot up to eight months. He also argued they weren’t fire or damp proof, with no evidence they could withstand a baby leaking through their nappies. The baby boxes have been very popular in Finland, but Mr Fleming said very few families used the box for their baby to sleep in. Rather most simply enjoy all the other freebies handed out by the Government after birth.